Simplify Warehouse Management With Barcoder 250 From ES Consulting - ES Consulting offers a wide variety of Sage additions for Sage 50 and Sage 200 that can make warehouse management much simpler, faster, and cost-effective. ES Consulting (www.warehouse-management.co.uk), a provider of various Sage additions, are the developer of the most reliable warehouse management systems - Barcoder 250. This particular Sage addition is typically used in warehousing and distribution businesses to simplify the management of sales and purchase orders. Since the system is fully integrated with Sage 50 and Sage 200 Barcode, users do not have to change accounting procedures. “I emailed requesting a call back, and was phoned the very same day. ES Consulting’s representative was friendly and helpful and we discussed all of my requirements together. At the end of the call we arranged for ES Consulting to provide an online demonstration of the software, which they were able to do later that week. I was impressed by the demo and after a few days to think it through we decided to place the order with ES Consulting for Barcoder 250, as it appeared to meet all of our expectations, and for a very reasonable price too. Once the order was placed and we’d provided ES Consulting with all of the information they needed to get us set up, we had Barcoder 250 up and running within just two weeks. ES Consulting then provided us detailed training on how to use the software which allowed us to get going with it straight away. After two months of using the system, all our major objectives have been achieved. We now have complete accuracy in our order processing and everything is so much easier. It makes me wonder why we didn’t invest in something like this before”! If you want to learn more about ES Consulting’s Barcoder 250 as well as their other Sage additions, visit www.warehouse-management.co.uk. ES Consulting offers a wide variety of Sage additions for Sage 50 and Sage 200 that can make warehouse management much simpler, faster, and cost-effective. They also provide reliable customer service to their clients to help them find the ideal Sage additions depending on their business requirements. For further info, kindly send them an email to sales@esconsulting.co or fill out their online form at www.warehouse-management.co.uk/Contact. You can also speak with one of their representatives on 0845 867 2032. 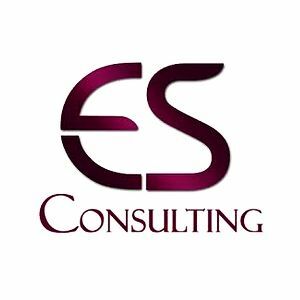 ES Consulting is offered a business framework that allows them to work with Sage and achieve bigger revenue growth.